Strange Fruit is a collection of stories from early African American history that represent the oddity of success in the face of great adversity. Each of the nine illustrated chapters chronicles an exceptional African American. From the adventures of lawman Bass Reeves, to Henry “Box” Brown’s daring escape from slavery, to the tragedy on Malaga Island in Maine, these beautifully illustrated stories offer a refreshing look at remarkable African Americans. Choose one character in Strange Fruit. What characteristics do you think they had that allowed them to be successful? Write 5 characteristics, define them, and provide an example of how your character demonstrated the trait. Look at your list of character traits. Do they remind you of someone in your life? Write a summary of someone in your life that you look to as a leader. Pick one of the people featured in Strange Fruit, and rewrite the tale as a news story. A good news story has an "inverted pyramid" structure - starting with the most important part of the story in the headline and the first paragraphs, the second-most important information next, and so on, right down to the least important information in the final paragraph/s. List all of the facts in the story. Arrange these facts from most important to least important. Write a lead, or introduction, that grabs the reader's attention. As you write, make sure you mention what happened and who was involved, where and when it happened, and why it is important. Make sure the article does not include your opinion, and that it is factually accurate. Strange Fruit is named for a poem by a teacher named Abel Meeropol, in response to a photo he saw of a lynching in the South. This poem was first published in a teachers' union publication. Meeropol, who was also an amateur composer, set his poem to music. This article tells the story of how this teacher's poem became the a song so famous, so powerful, that Time Magazine called it the "Song of the Century" in 1999. Listen to Billie Holiday holiday sing the song in the video below. Explain how you think the words of the song tie in to the repression black people faced, and why this song was important to the Civil Rights movement. Explain how you think the words of the song tie in to the repression black people faced, and why this song was important to the Civil Rights movement. What song can you think of today that represents a form of social injustice? Write a summary about the song and why you think that song represents a movement or social injustice today. What are the images provided and how does it move you in response? 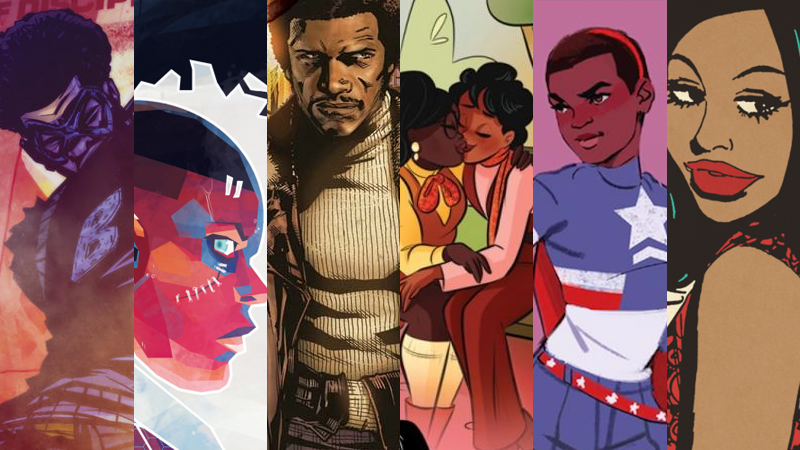 One of the very few authors that covers black history in comic book form, Joel Christian Gill is an amazing interview on the arcane wonderfulness that is comics from an alternative and historically accurate viewpoint.